Zucchelli Station is an Italian permanent research station, located at Terra Nova Bay in Antarctica. 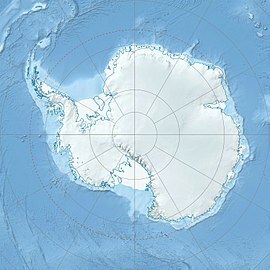 It has been named after Mario Zucchelli, late director of the Italian Antarctic Program. 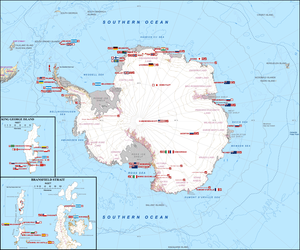 The Zucchelli Station is a permanent Antarctic Station on the Terra Nova Bay located at an altitude of 15 meters and with an area of approximately 7,200 square meters. In 2010, the Station was enlarged and in "warm" months is linked to the Italian Concordia Station (operated together with French researchers). This facility was created in 1985 and hosts a variety of scientific projects. The Programma Nazionale di Ricerche in Antartide (National Antarctic Research Program (PNRA)) works closely with the US Antarctic Program and Antarctica New Zealand. - seismology and environmental monitoring. Icaro Camp (74°42′43″S 164°07′00″E﻿ / ﻿74.711866°S 164.116650°E﻿ / -74.711866; 164.116650) is a facility, fitted as a meteorological station, located 2 kilometres (1.2 mi) south of the Zucchelli Station. The camp consists of two blue containers, held by guy-wires, meteorological equipment, solar panels and a wind generator. Although the structures are not suited to accommodate people, they could shelter a dozen in case of emergency. ^ "Enigma Lake Skiway". Airport Nav Finder. Retrieved October 15, 2018. ^ "Base Giacomo Bove". giacomobovestation.blogspot.com. Retrieved October 10, 2018. Location of the "Concordia and Zucchelli Stations"
Wikimedia Commons has media related to Mario Zucchelli Station. This page was last edited on 15 February 2019, at 18:24 (UTC).